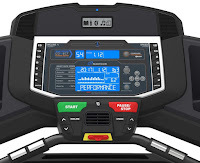 Designed for the serious athlete, the advanced Nautilus T618 Treadmill MY18 2018 retains all the same high-end features of the previous 2016 model but is finished in a sleeker-looking all-black color instead of the grey/silver color of the previous model. From Nautilus’ Performance Series Range, the T618 Treadmill MY18 is sturdily constructed, incorporates comfort ergonomics, and is packed with high-end features to keep your workouts varied and challenging. The Nautilus T618 Treadmill MY18 utilizes a powerful 3.5 chp motor and robust 2.75” crowned rollers to ensure smooth and quiet operation. The T618 comes with a light-commercial 3-ply Tyre belt and the large crowned rollers also help to increase traction and extend the belt’s life. The Nautilus T618’s running surface measures a generous 20” wide by 60” long and incorporates a Rebound Cushioning System that helps to soften your landing and reduce the impact on your joints, while helping to propel kick-off at the back of your stride. 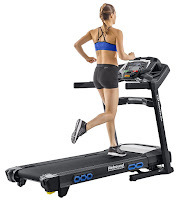 You can walk, jog or run on the Nautilus T618 Treadmill with a speed range from 0 to 12 mph. The powerful motor responds immediately as the pace is adjusted and is optimized to maintain full running speed. For additional challenge, the Nautilus T618 offers a motorized adjustable incline range from 0 to 15%. Both the speed and incline can quickly and easily be adjusted via In-Reach controls built into the treadmill’s performance handrails. To keep your workouts varied, the Nautilus T618 offers 26 Performance Training programs including workouts for intervals, training, heart-rate and weight management, as well as the ability to customize your own programs. 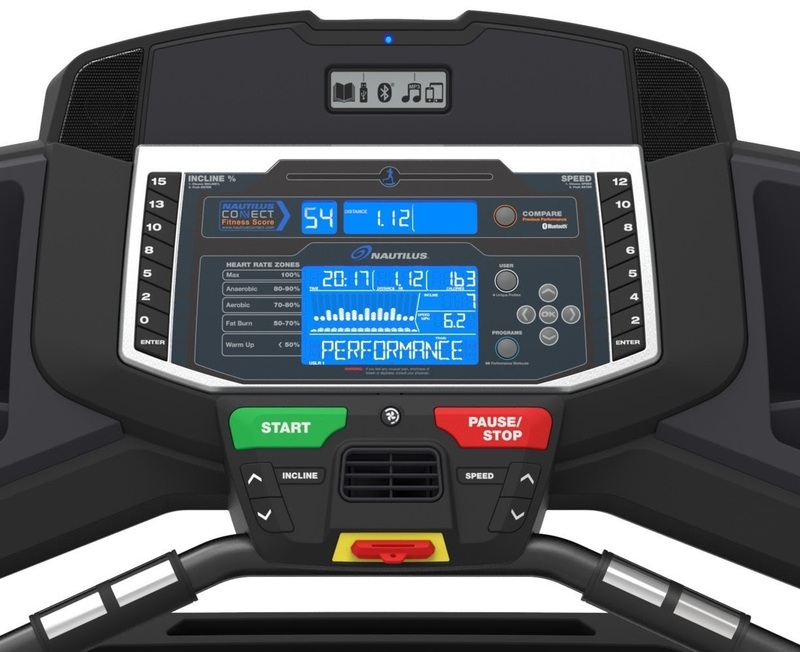 The Nautilus T618 Treadmill MY18’s console features Dual Track STN blue-backlit LCD display (2 screens) and shows motivating workout data such as time, speed, distance, calories and heart-rate. Your heart-rate can be measured by either contact pulse grips sensors or via the included chest-strap. 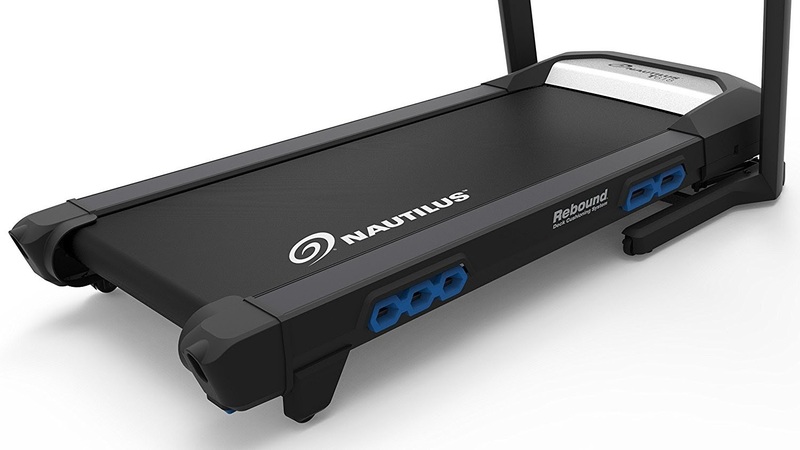 The Nautilus T618’s console allows for up to 4 user profiles and also offers Bluetooth connectivity for seamless transferring of your workout data to online fitness tracking apps including Nautilus Connect and other partnered apps. Built for intensive training, the Nautilus T618 Treadmill 2018 is sturdily constructed and allows for a maximum user weight capacity of up to 350 lbs. To help save space when not in use, the Nautilus T618 features a Soft Drop folding deck system and there are front-mounted transport wheels for easy relocation. For peace of mind and to reflect the manufacturer’s confidence in the durability of the Nautilus T618, this treadmill comes with a generous warranty of 15 years on frame, 5 years on parts / electronics, and 2 years labor.